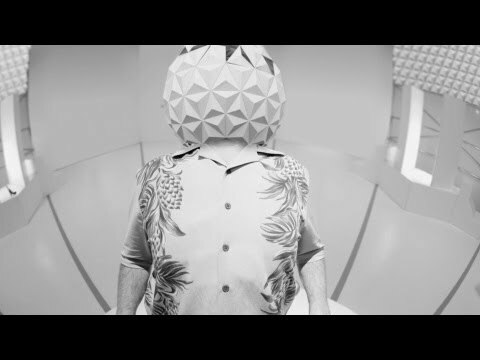 Escape from Tomorrow Exists and that makes our hearts sing! Posted on December 30, 2013 by Peter Schilling Jr.
Review by Trylon volunteer Colette Ricci. (Before we start dear reader, I promise you: this does not devolve into an anti-corporate diatribe.) For centuries corporations have been claiming public as space their own, while the public simultaneously fights to get those spaces back. As a youngster I didn’t understand “taking back space.” If you defaced (or otherwise misused) private property, weren’t you plainly in the wrong? But, my narrow stance started to waiver as I saw more and more blank space converted to ad space. I began to wonder: what aspects of my space do I own? I own this shirt, but not the name printed on it. I own this beverage, but not the image plastered to the can. When struck by inspiration on a trip to Disneyland, what ownership would I have over those ideas? People call the Disney theme parks magical, but it’s not just princesses and anthropomorphic mice. Disney parks invoke awe inspiring public experiences, the magic they talk about exists in every corner of the park: childhood memories walk around real as life, people laugh, people cry, parents argue, people fall in love, expectations become letdowns, dreams are born. That magic resonates through time, spanning 50 years into the past and surely decades into the future. It’s a magic personalized to the individual, but it’s experienced collectively. And all these experiences; they’re tangibly owned by someone. (Technically a group of someones, but owned no less.) As an artist I am limited to what I can do with my Disney inspirations while staying clear of “infringement”. It’s painful knowing a company can design magic to happen, then hold an iron grip on what people do with that magic outside of “brand identity”. When Randy Moore and his brave crew waltzed through Disney World’s gates, shot Escape from Tomorrow without permission and then released it to the public, they brazenly put that iron grip to the test. And then more magic happened: Disney did nothing. Legally speaking there’s not much they could do to prevail in a courtroom, but companies do typically attempt to silence de-branding public commentary every way they can wether it’s likely they’ll win or not (see: “McLibel” or Mattel Inc. v. Walking Mountain Prods.). Disney spending millions to financially ruin Moore (taking his film with him) isn’t farfetched, it’s exactly what everyone expected to happen. Yet Disney still does nothing. It’s likely Disney executives hoped this weird movie would just go away. But there’s an infinitesimally small chance they were intentionally making a larger statement. Maybe they, too, are tired of living in a world where people are literally faced with branding at every turn and are silenced if they express apposition to it. Maybe someone very high up, in one of the most influential corporations on the planet, thought: I’m tired of forcing the idea of what we are, let’s allow our captive audience to be freely inspired; let’s allow them to define us. Wether we like Escape from Tomorrow as a movie is irrelevant. 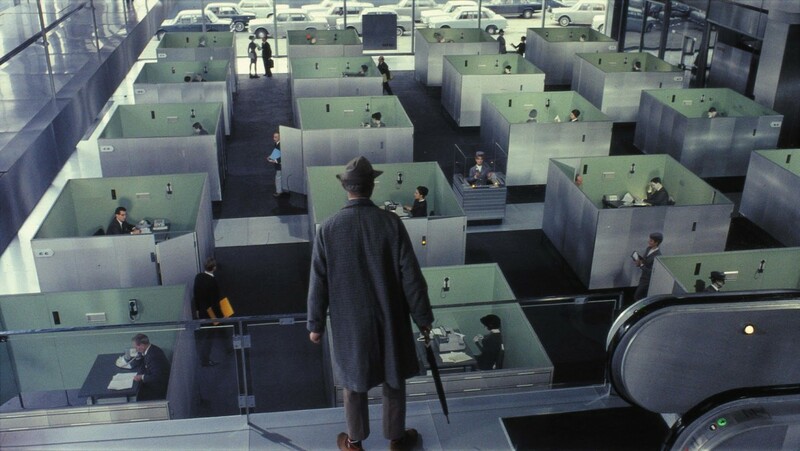 Right now it is freely roaming our world of corporate ownership, protected by forces unknown, opening doors that have been slammed shut on artists for decades. And that fills my heart with magic. 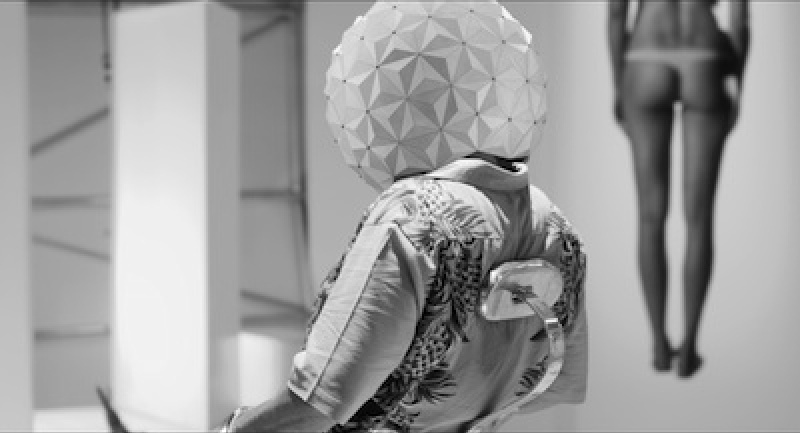 Escape from Tomorrow screens tonight at 7:00 & 9:00 (no shows tomorrow.) Purchase tickets here.